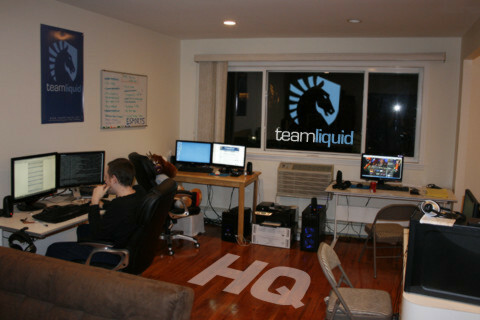 TeamLiquid HQ? Is this what I think it is? It's exactly what you think it is. 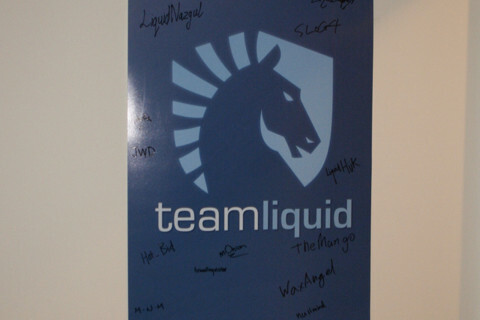 We're excited and happy to finally announce that we will have full time TeamLiquid staff for the first time ever. R1CH and I will be living and working together full time for the site at our headquarters in New York City. A little bit about ourselves: R1CH is a programmer from the United Kingdom with an Internet Computing degree from the University of Hull. He is a level 80 wizard not only on TL for Starcraft but also for the Quake and Diablo franchises as well. Hot_Bid graduated from Michigan Law School and recently passed the bar in New York. He's now chief ESPORTS counsel for TL. Why are you doing this? What are you goals? TL has exceeded even our most optimistic predictions for it when the SC2 beta launched. We realized we had two choices, either sit back and keep doing what we were doing, or try to fulfill the potential we all see in this website and community. Our goal, of course, is to make TL as awesome as possible for our users. We want TL to not just survive, but to prosper. We want the site to keep its position in the StarCraft scene and turn into a financially sustainable organization. Financially sustainable!? WTF are you guys selling out!? We're going to try to make money. We're going to use the money we make to sustain and grow TL. But most importantly, we're going to do it with the same style and spirit that TL is know for. We hope you guys can trust us to make the right decisions, as TL has never been about money grabs or "going corporate" or stuff like that. We would never jeopardize what we've always seen as our greatest asset -- our reputation and relationship with our users. 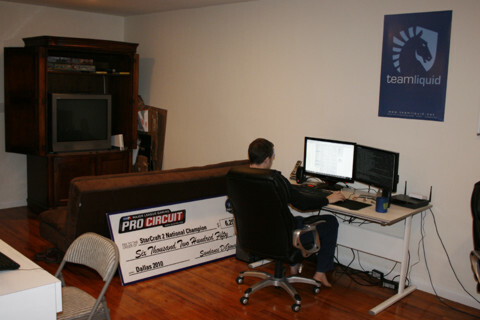 Hot_Bid in the HQ before it had a whiteboard or TL poster. We generate billions of ESPORTS dollars per hour. More seriously, we get revenue from advertising, sponsored threads, and our store. Do you guys even have enough stuff to do to? What's a regular day like? We have way, way more than enough stuff to do. We actually don't have enough time during the day. We basically do what we used to do for TL but just x10. We collaborate with other admins for decision making on big projects, and we do a lot of the administrative grunt work as well. That means running tournaments, finding sponsors, creating new features, and generally making TL as awesome as possible. Jinro let us keep it. Is this really necessary? Can't you just volunteer harder? We have a lot of exciting stuff coming up that is really helped by having full time staff. We have so many staff members now that the next logical step is to have responsible people available 24/7 to make sure everything is coordinated properly. It would be a disservice to all the hard work everyone was doing around TL to not do it this way. We're going to do a lot of important TL work but one of our main jobs is to make it easier for everyone else. Also, it's just so much easier and more productive getting work done in person -- the work environment is awesome. What do the TL staff think about this? We had a big thread talking to our 100+ other staff who work for the site and they are all extremely supportive of the idea. In fact, many staff have visited and stayed with us already. We have an extra room specifically for any TL staff that wants to visit, vacation New York City, and see what it's like to "live the dream". Nazgul stayed here and we watched him practice blink stalkers all week before MLG Dallas. Heyoka, Mango, Brood, Waxangel, JWD, CSheep, Liquid`HuK, and many others have paid us a visit. We ran two TL Opens with our HQ being the hub for referees. In the end, our job is to make their jobs easier. That could be adding little features to make TL Calendar input better, or buying our writers GSL3 premium coverage, or treating them to a dinner in the city. What about the future? Where are you guys going to take this? We have a long term plan, and we'll see how it goes. We obviously want to expand and reward our staff as much as possible, but at the same time we know that nobody is doing this because of the money. We're all here doing what we love because we're huge Starcraft fans just like you. Worst case scenario we can't sustain this and TL lives on through part-time volunteer work like before. 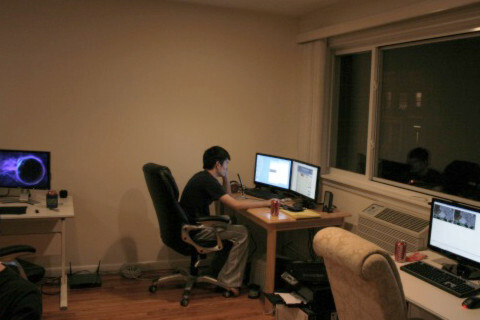 Best case scenario we become an mini ESPORTS ESPN and have a giant office building with hundreds of TL employees. Maybe we end up somewhere in between. There are many ways to help! Make good posts. Introduce someone to our site, teach them how to play or watch the game. Buy a shirt if you want one. Write a Liquipedia article. Support our staff, say thanks when they do something awesome. Apply to our graphics team if you want to draw. Do some coverage if you want to write. We'll have opportunities to contribute in the future, whether it's helping our TLPD guys add games or our Calendar guys add events. If you want to help, there is a place for you. We'll be very appreciative. But don't feel that it's mandatory at all. If you're just a good, kind community member, you've done enough. Can I visit? I'll bring some food! We appreciate the sentiment, but as you can see, we're not in an actual business office, we live in a typical residential area. Hundreds of people coming by to visit is not really fair to our neighbors or landlord, so we ask that you guys come say hi to us at the live events we go to. 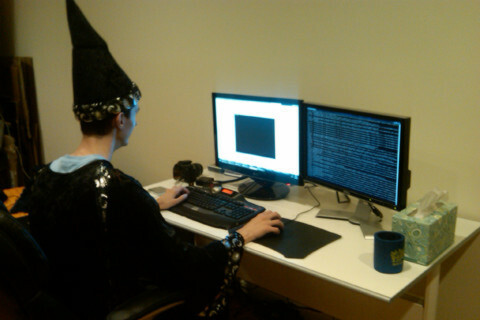 R1CH in a normal day at the TL HQ. Pretty much, yeah. It's a bit of a surreal experience to work on TL full time considering we'd probably be doing it in our free time anyway. It's amazing, it really is. It really changes your perspective about what you want to accomplish in your professional life. I think R1CH and I are extremely lucky to be able to wake up everyday and love what we do. Very nice very nice. So sick to see something like this. Great job Hot_Bid and R1CH and all of the TL staff. Awesome! Super exciting, like the look, best of luck. Wow, this sounds amazing! I can't wait to see TL grow and become even bigger! this is like SC2 holy grail? Oh man I want to sign that "guestbook"! awesome! hope TL continues to be incredible! This is great. I hope you guys continue doing good work for the site. Oh my god that is awesome. I just realized I forgot to turn off adblock after watching a stream again, thanks for that.